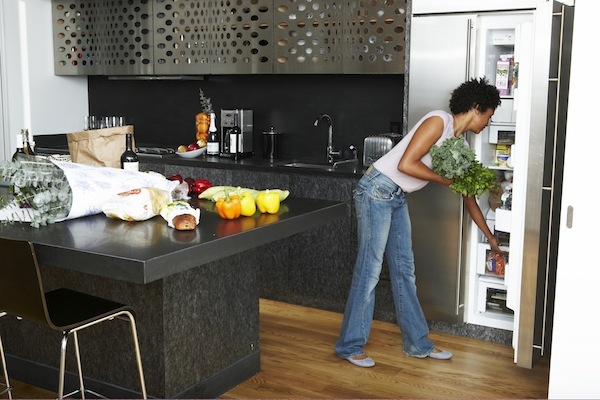 Smart Refrigerators: Are the Bells and Whistles Worth the Price Tag? More and more of our technology is getting “smart” including phones, watches, even microwaves. But what about refrigerators? Being “smart” is in style right now. You can buy anything from from smart phones to smart televisions, and now smart appliances. Technology is making everything faster and more responsive, but with refrigerators is it worth it? 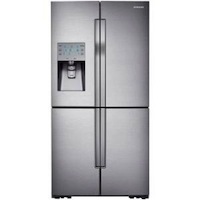 Let’s look at a couple of brands of smart refrigerators and what they have to offer. The Samsung Smart Refrigerator is currently selling for $4,000. Samsung has jumped on the bandwagon of smart refrigerators. The Samsung smart four-door refrigerator has a 10-inch display over the water dispenser to show you the weather, your calendar, and notes from your family. This year at the 2013 International CES Samsung showed off a Smart Refrigerator that can offer recipe suggestions based on the contents of your fridge, using the Epicurious App. It also comes installed with Evernote to allow you to create notes, share web clips, photos, links, and videos. You can sync the fridge with any other device you have that runs Evernote. This smart refrigerator from Samsung is 32 cubic feet and has four compartments and sells around $4,000. 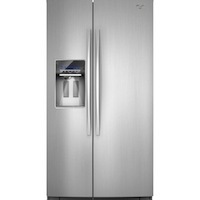 LG offers a smart refrigerator in a 30.7 cubic foot French-door style. The 8-inch display features Smart ThinQ technology with a touch screen to monitor expiration dates on your food, create grocery lists and lets you retrieve recipes on a compatible mobile phone. This LG smart refrigerator model sells for $3500. The Whirlpool Smart Refrigerator is a little less, going for $2,000. The Whirlpool smart side-by-side refrigerator is 27.3 cubic feet and has a neat feature that connects to the Internet decides how hard the refrigerator should work, based on energy prices. This will help to lower your electric bills over time. There is also a smartphone app you can download so that you check and control your refrigerator remotely. This one is in the typical range for a side by side at around $2,000. The price difference between brands I believe is more due to the model difference (four-door, French door or side-by-side) than the smart systems. If you are looking for a new refrigerator and want to be up on the latest technology, a smart refrigerator could be for you. Since they have slightly different perks you might want to see which benefits appeal to you the most. If you are like me you might wait to update your refrigerator until some of the beginning craze of the technology has worn off and the kinks in the technology have been worked out, and the price has come down. 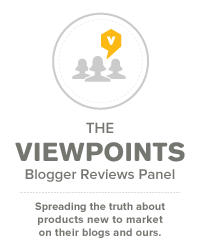 If you do decide to update your refrigerator and go with a Smart Refrigerator we invite you to come back to Viewpoints and write a review about it.